Stray Kids’ I.N. 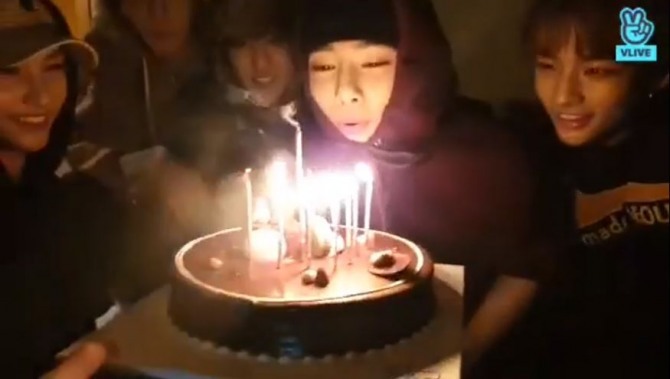 counted down to his birthday with fans on the V app Thursday night. He started the livestream at 12 minutes to midnight, when he turned 18. I.N. was born on Feb. 8, 2001. 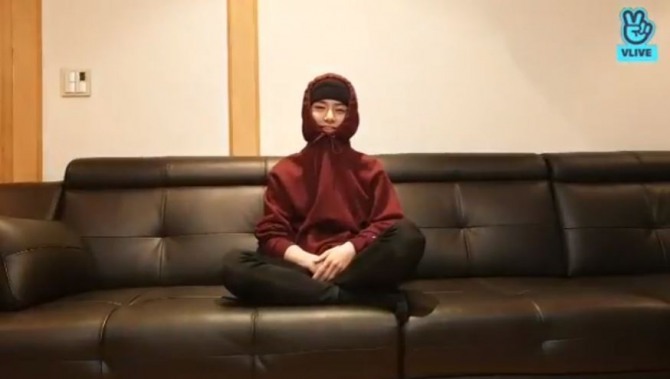 Wearing a maroon hoodie and sitting on a sofa, I.N seemed excited about his birthday. “I’m always the first to celebrate my birthday (in the group), so its always a delightful experience,” I.N. said. “I just woke up,” he said, explaining why he had his head covered tightly with the hoodie. “Also, it’s my first time celebrating my birthday with the new name I.N.” He only adopted the stage name this year. I.N read out comments and replied to them as he waited for another five minutes until the ringing of a bell. “I’m not sure why, but I am so nervous right now. I’m even more nervous than when I took auditions,” he said. As the clock struck midnight, other bandmates raided the room with a lit cake. They made a clamor celebrating their youngest member’s birthday. Some of the members gave I.N presents, including a cute cushion and a book. While digging into the cake, the nine bandmates chatted and read out comments. Rookie act Stray Kids debuted under JYP Entertainment in March 2018. 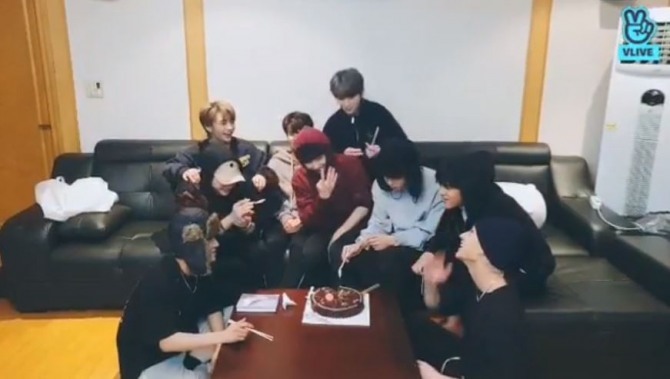 Watch I.N’s birthday party at https://www.vlive.tv/video/112299.